Nicki Minaj took her new look public at the Billboard Music Awards in Las Vegas and basically owned the whole thing. 1. 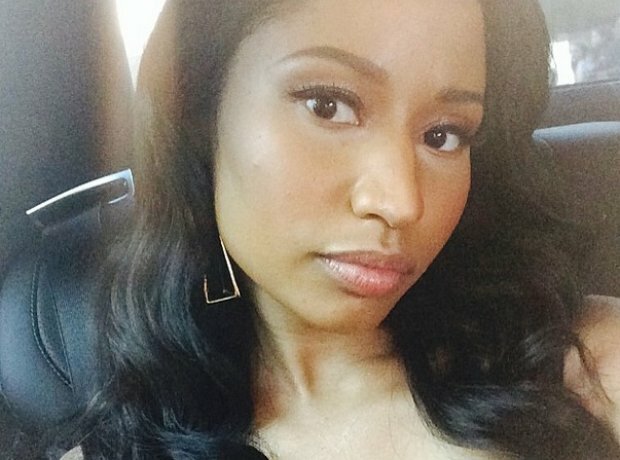 1) Her first selfie didn't give away much, but Nicki Minaj owned this year's Billboard Music Awards. 3. 3) As you can see, she looked incredible. 4. 4) Like really, really incredible. 7. 7) Seriously, at one point, Nicki was just like: "YASS." 8. 8) Every part of her outfit spoke the truth, even her tattoo. 9. 9) Nicki's outfit also came with some awesome accessories like this gold bracelet. 12. 12) Backstage she posed for this badass selfie. 13. 13) Which was only eclipsed in amazingness by this one. 14. 14) Welcome back Nicki. 15. 15) We've missed you.